Uses: General, Thanksgiving, Stewardship Scripture: Deuteronomy 11:14; Psalm 132:15; Philippians 4:19 A very evocative and poetic prayer of need and thanksgiving is found in this current sacred song. Contending with the deep matters of wants versus needs in our petitions to God, this choral is truly a sermon in song as it probes the priorities of our hearts. A very different and needful teaching anthem! 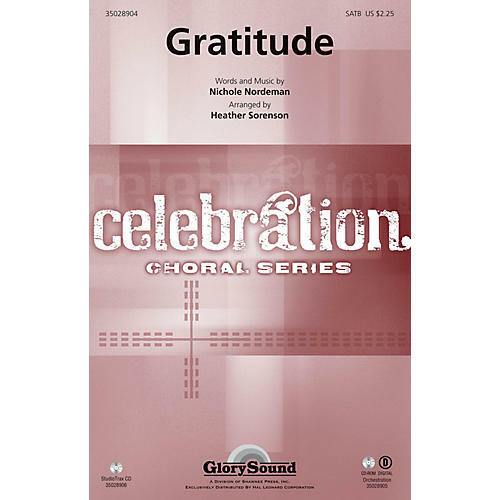 Available separately: SATB, StudioTrax CD (Accomp., SplitTrax, Perf. ), Orchestration (score and parts for oboe, violin, cello, percussion). Duration: ca. 5:07.